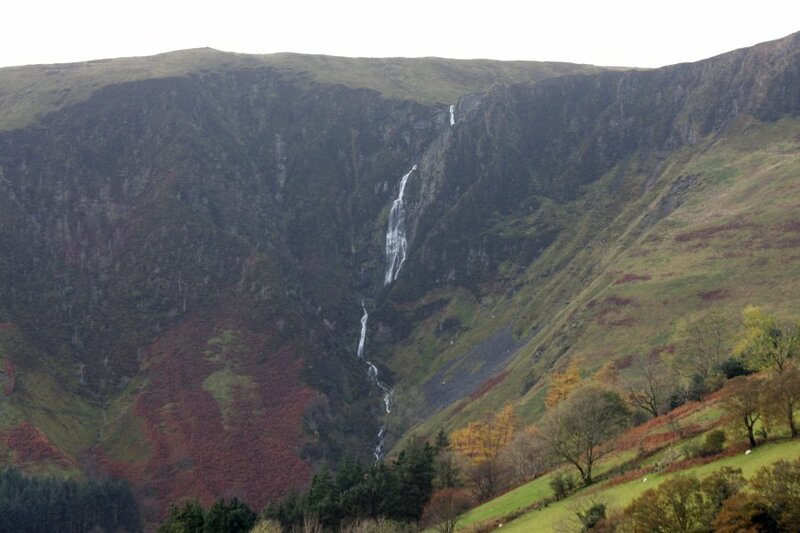 Maesglase waterfall is one of the highest waterfalls in the United Kingdom with a height of appr 180 meters. Heading on the A470 from Mallwyd to Dolgau there is a turn left after Dinas-Mawddwy. Here a small road approaches Maesglase. From here you have to cross the grasslands and go down to go to a good viewpoint for Maesglase waterfall. Maesglase waterfall is named after the mountain Maesglase and after heavy rainfall a mighty waterfall worthwhile to visit.